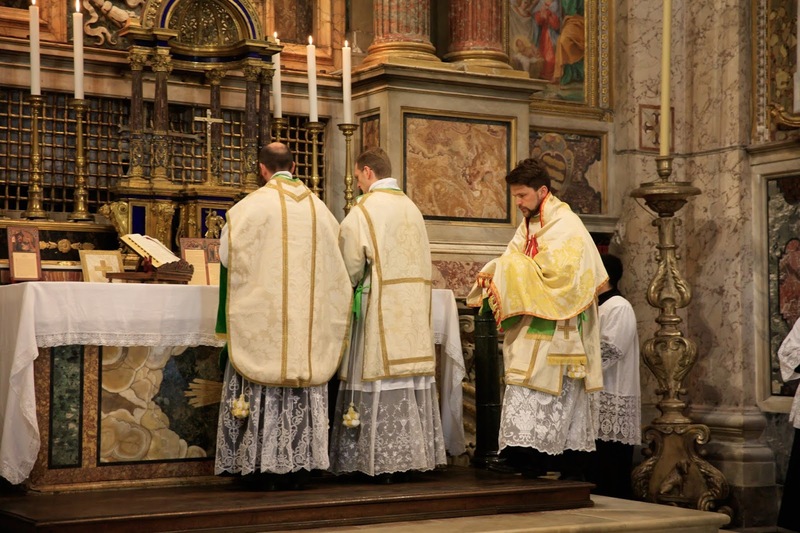 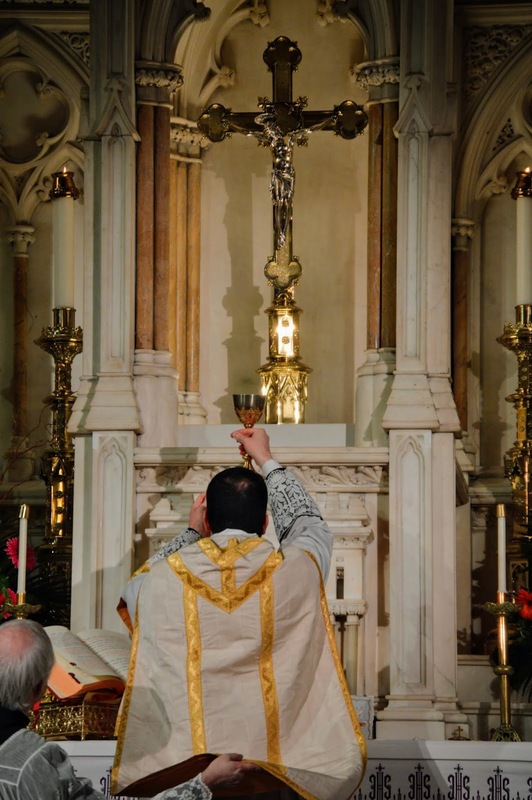 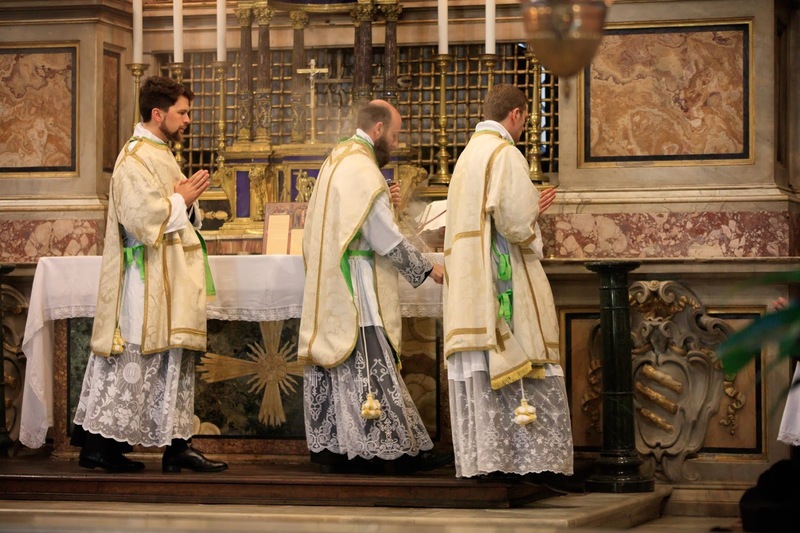 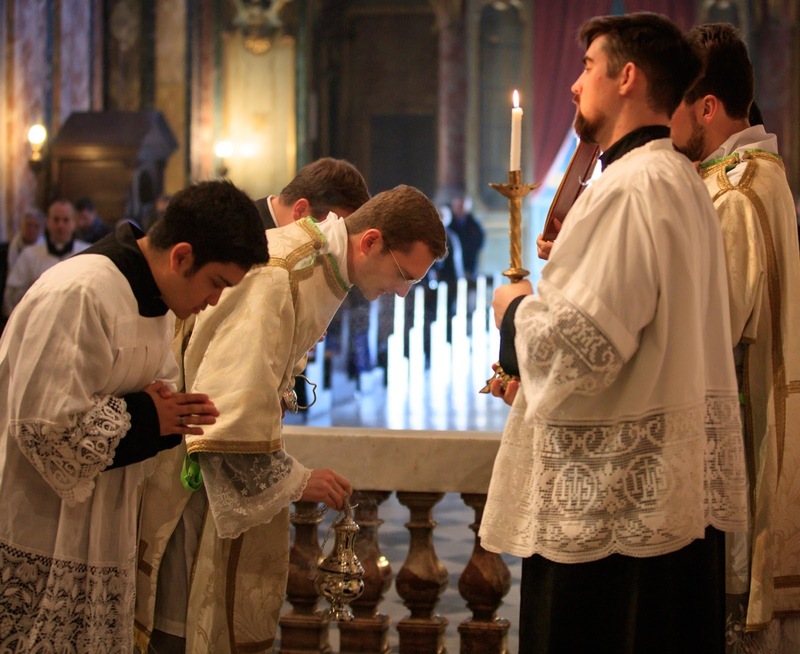 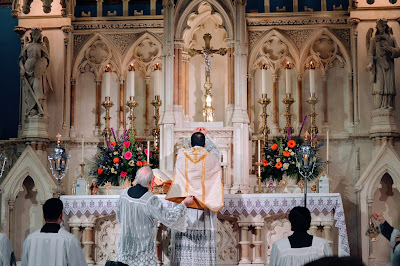 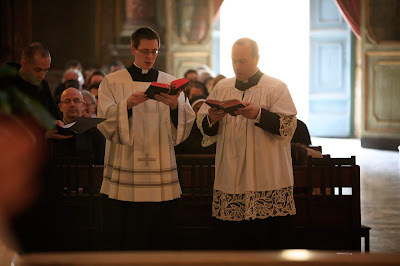 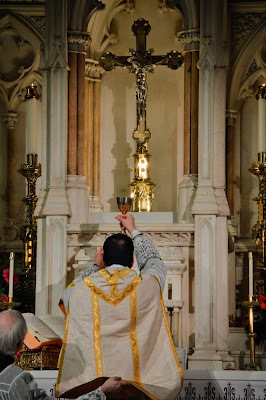 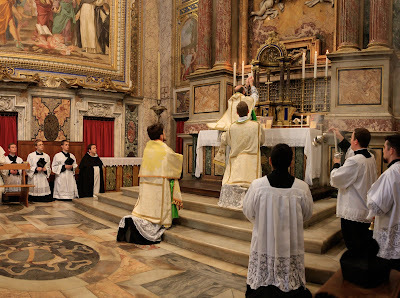 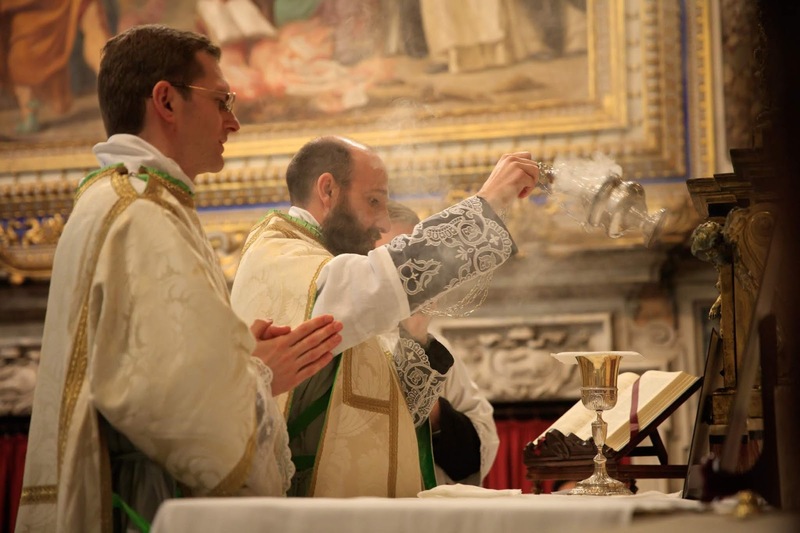 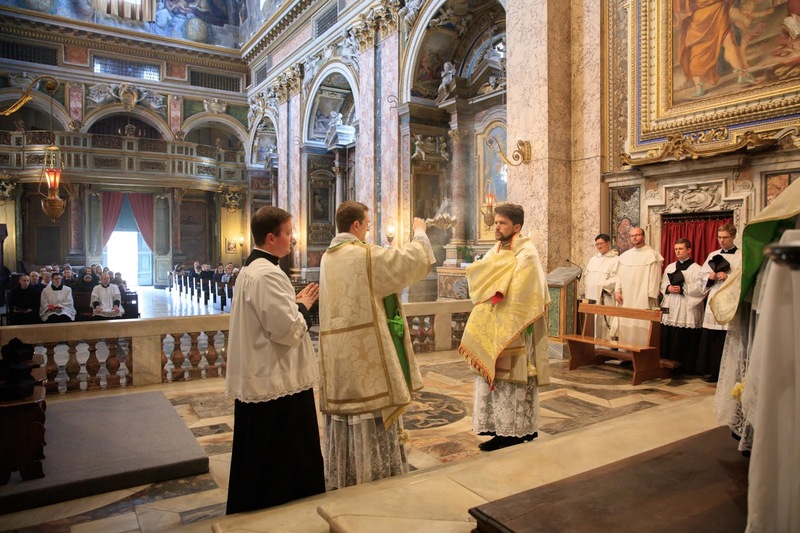 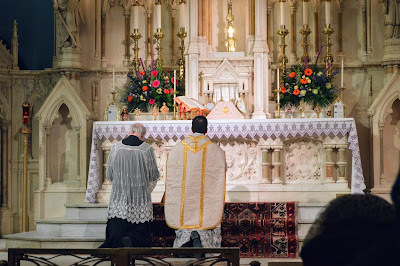 Why Do We Sing Liturgical Texts? Can We Love Tradition Too Much? 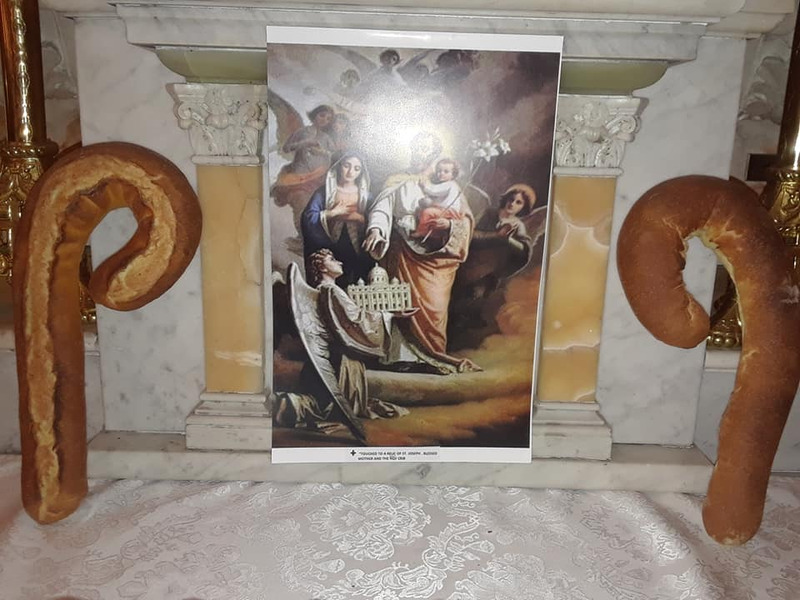 Should We Paint God the Father? Here are a few spontaneous photopost submissions from the feast of St Joseph, celebrated last Tuesday. 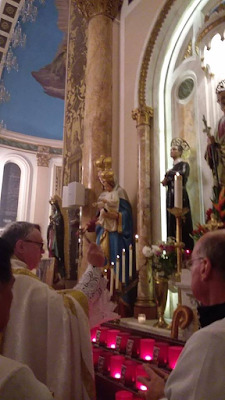 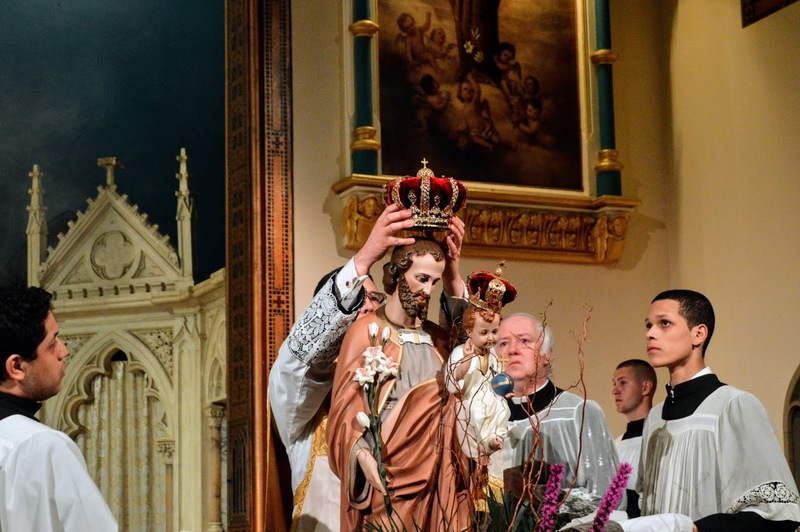 Blessing of crowns and crowning of the statue of the Chirst Child and St Joseph before Mass. 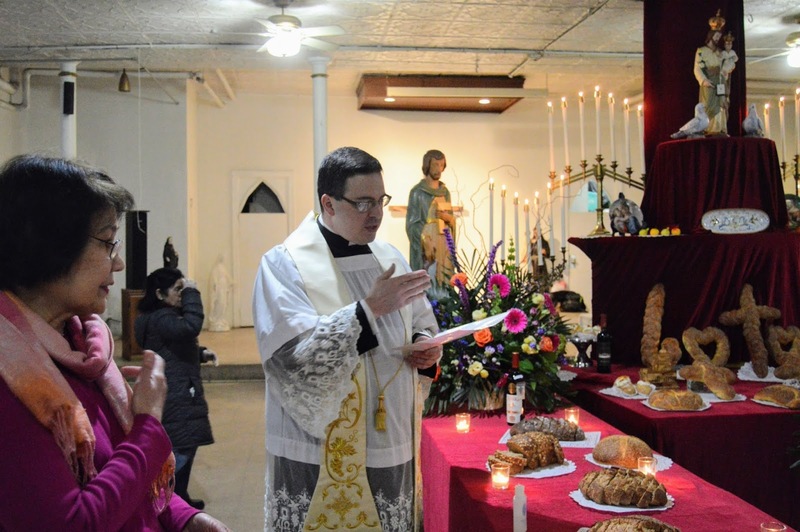 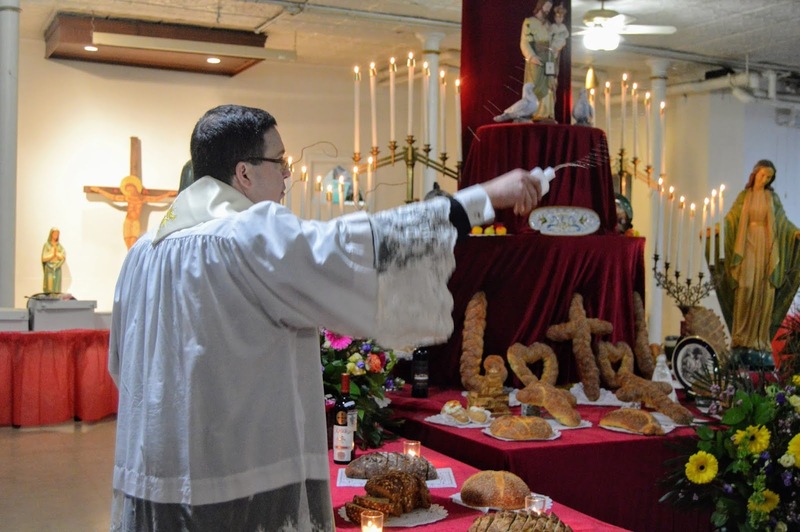 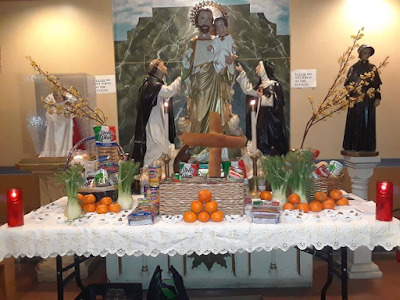 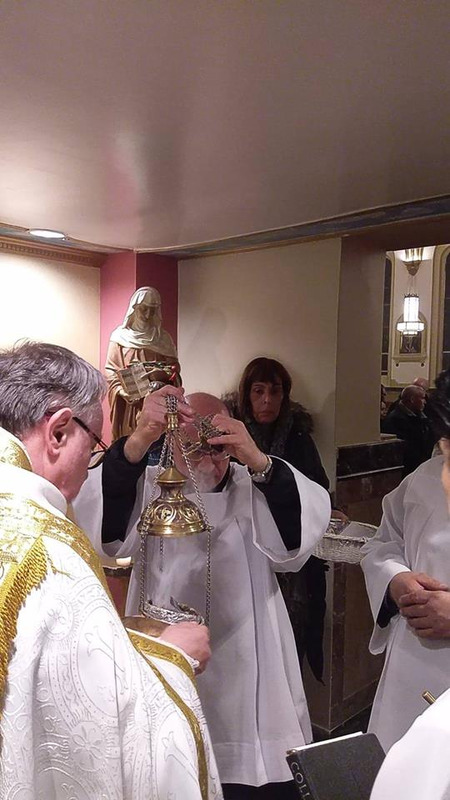 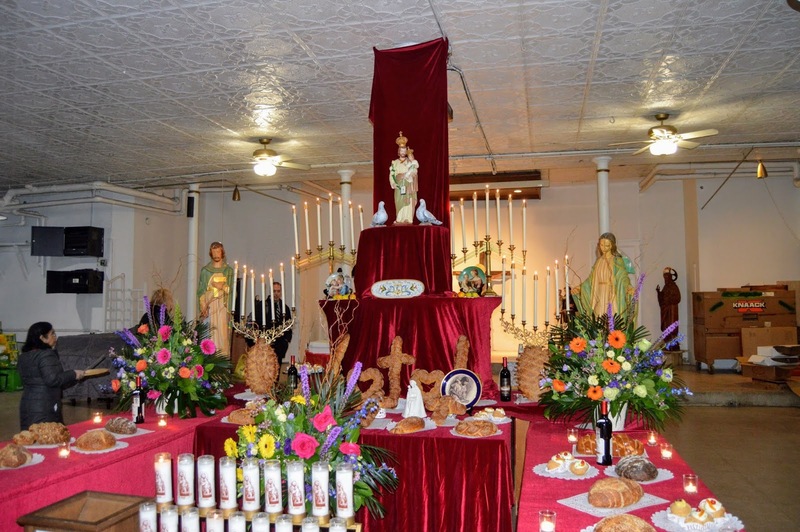 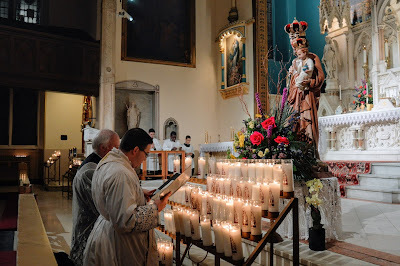 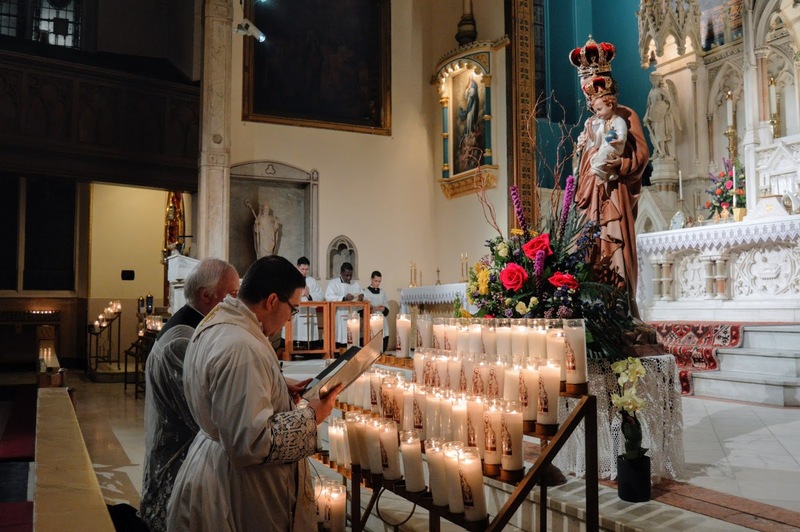 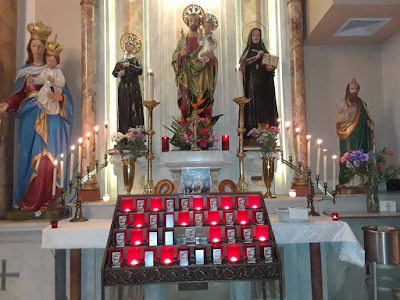 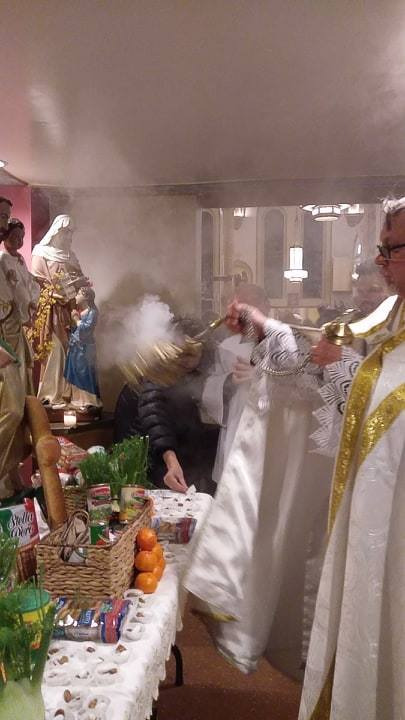 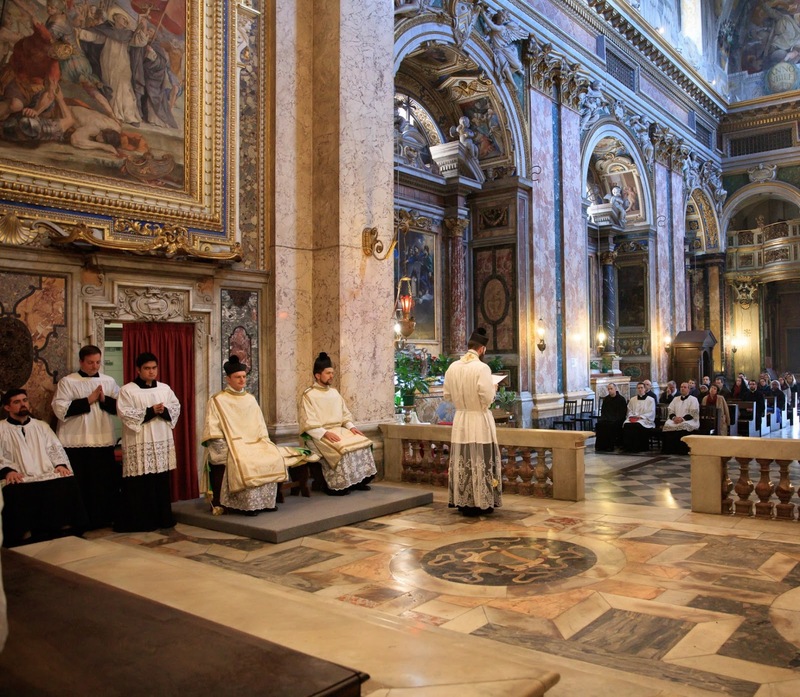 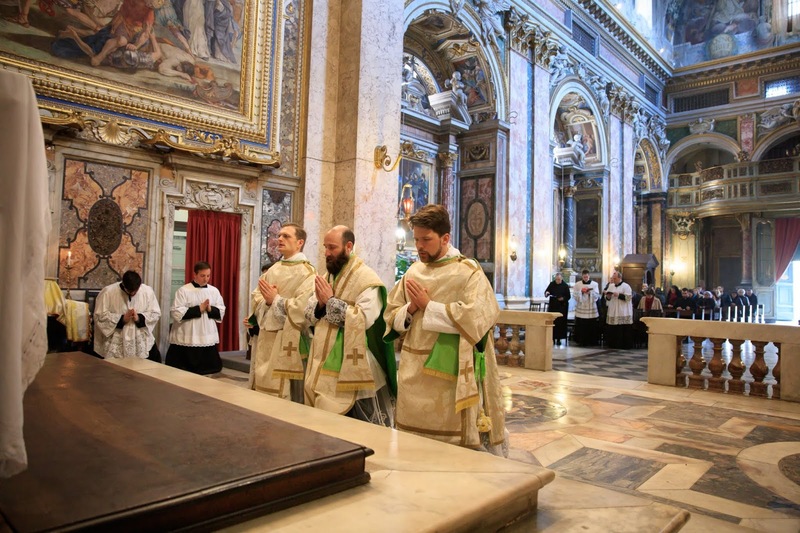 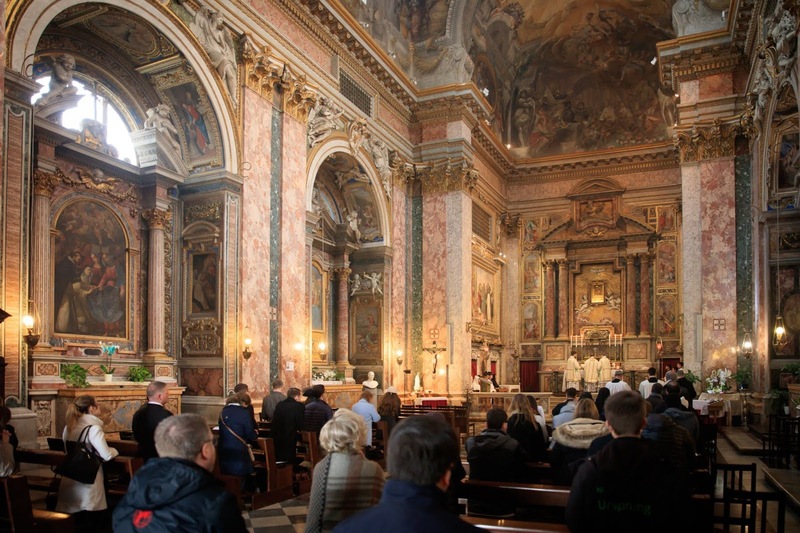 The altar of St Joseph was decorated with candles, flowers and holy cards, and in the vestibule, St Joseph’s table was set up with the traditional breads, pastries, light refreshments and food for the poor. 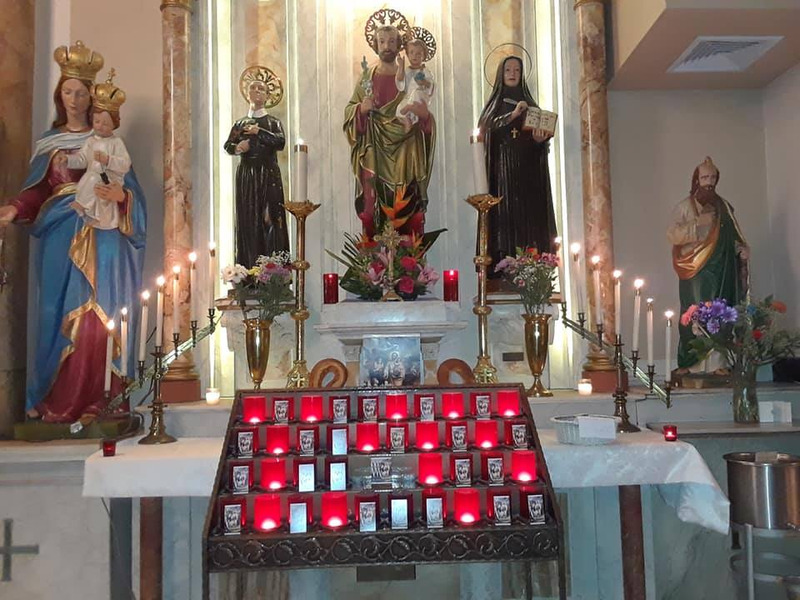 Holy cards of the Holy Family were also available for the faithful to take home; these had been touched to first and second class relics, making them third class relics. 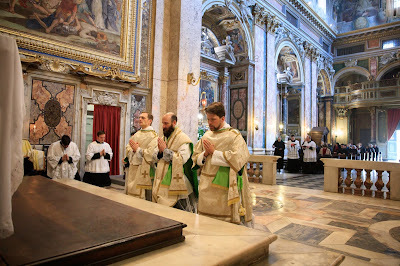 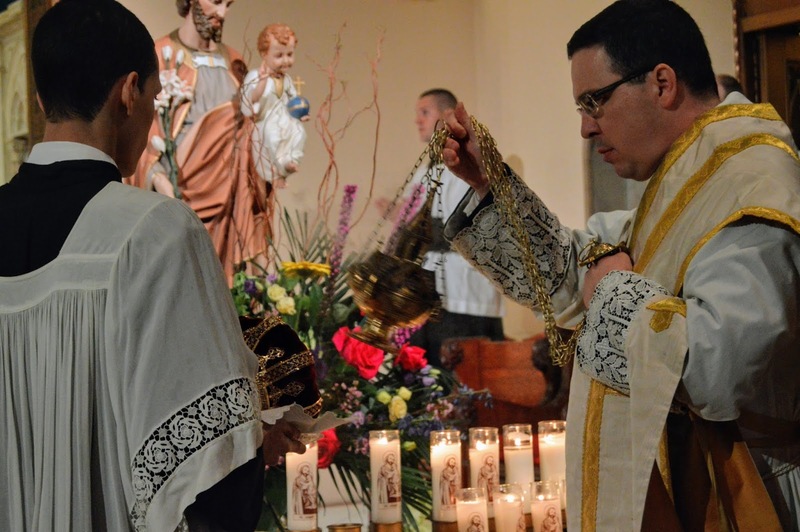 The sorrowful mysteries of the Rosary were prayed before Mass. 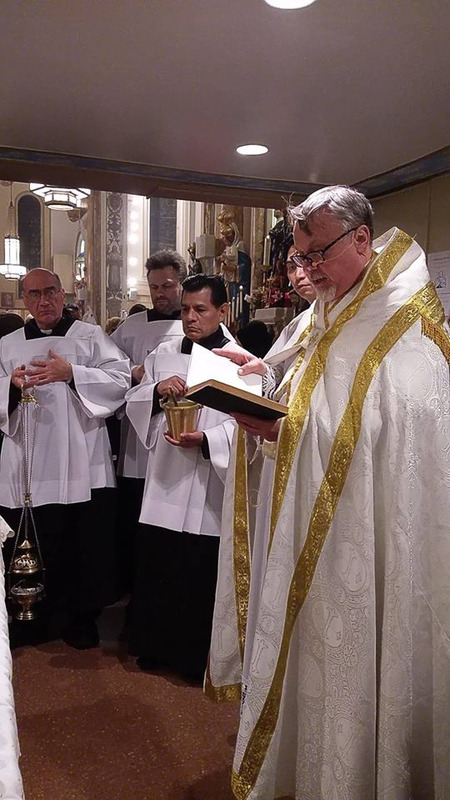 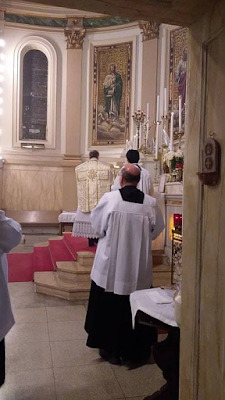 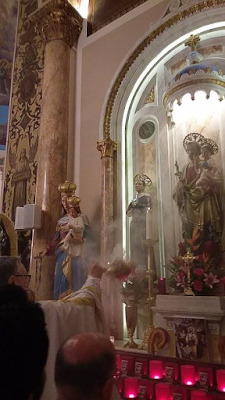 Father Marian Wierzchowski, the pastor, preached on the life of St Joseph, devotions to him in the Eastern and Western Churches, and his role as chaste spouse of Our Lady, foster father to Our Lord, provider for and guardian of the Holy Family. Viva San Giuseppe!